Ernest Allen Sutherlin, 78 of Brazil and formerly of West Terre Haute and Flora, IL, passed away at 10:27 AM on Saturday, April 6, 2019 at St. Vincent Clay Hospital in Brazil, IN. He was born in Vigo County on July 9, 1940 to Lloyd E. Sutherlin and Mildred A. Campbell Sutherlin. Ernest was a Pipefitter with Plumbers and Steamfitters Local # 157 and previously had worked at General Housewares. He was an Army Veteran, and his memberships include: life member of VFW Post # 6574 in West Terre Haute, life member of American Legion Post # 14, in Flora, IL, Flora Moose Lodge # 1384, Flora Elks Lodge, and Plumbers and Steamfitters Local # 157. 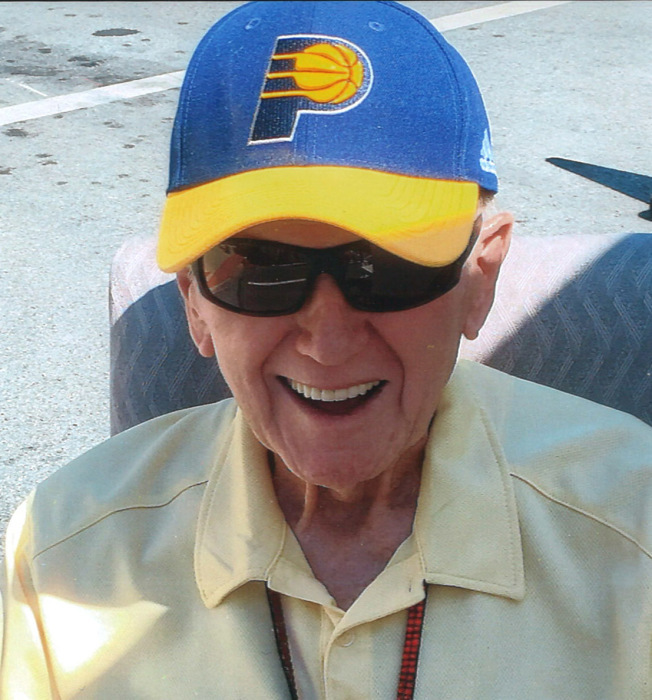 He loved watching NASCAR (especially Dale Earnhardt), and was an avid Cardinals, IU, Colts, and Pacers fan. Ernest is survived by his daughter Gayla Sutherlin, niece Darla Murphy (husband Larry), and great niece Kari Murphy. Also surviving is a special friend, Jane Bateman, his dogs Bella and Murphy, and several cousins and friends. He was preceded in death by both parents, and his brother, Harold “Beanie” Sutherlin. Funeral services will be held at Fitzpatrick Funeral Home, 220 North 3rd St., West Terre Haute, IN on Thursday, April 11, 2019 at 7:00 PM. Visitation will be on Thursday, April 11, 2019 from 4:00 – 7:00 Pm at the funeral home. In keeping with his wishes, cremation will follow the service with burial at a later date at Bethesda Cemetery. The family asks that if you are unable to attend the service, to please have a beer in Ernest’s honor.